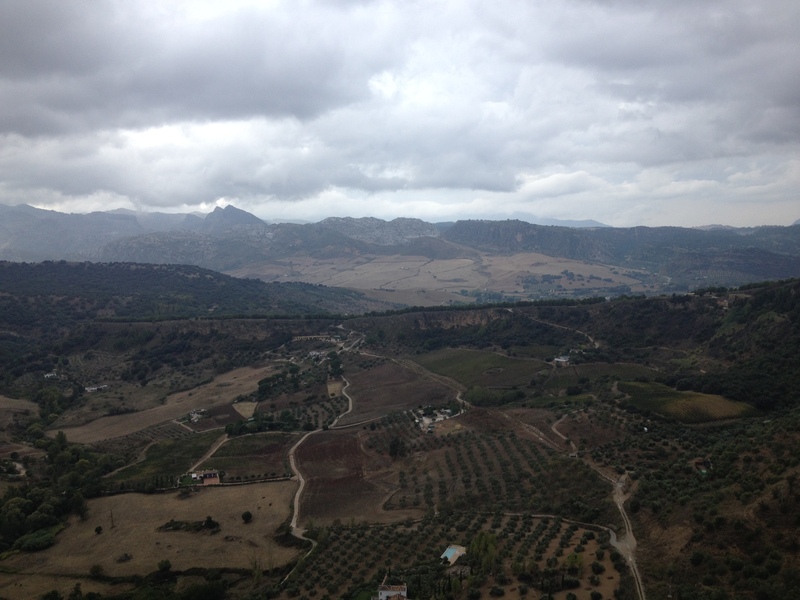 We ended up climbing through the Spanish montañas to the beautiful and historical city of Ronda. I have a memory like a sieve and although I have been a few times before as a child, I had no recollection of the city, until the moment we drove over the Puente Nuevo and into the square and BAM it all came flooding back! 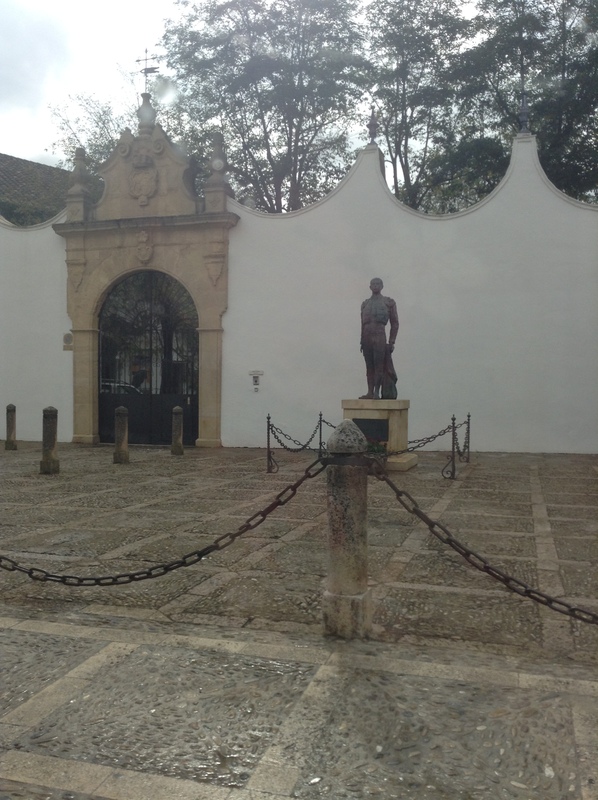 At the risk of writing a post which is a combination of a travel guide and a history lesson, Ronda has quite an interesting and turbulent history. It began as a Roman town first gifted its status as a city during the reign of Julius Caesar, and then went on to be conquered and reconquered for centuries by the likes of the Visigoths and then the Moors. During the years of the Spanish Inquisition, Ronda became a safe haven for the Muslims of Al-Andalus. As tougher and tougher sanctions and suppressions were put upon them, several groups mounted rebellions against the Spanish – one of which was carried out in Ronda, where they massacred many of the Spaniards living there. 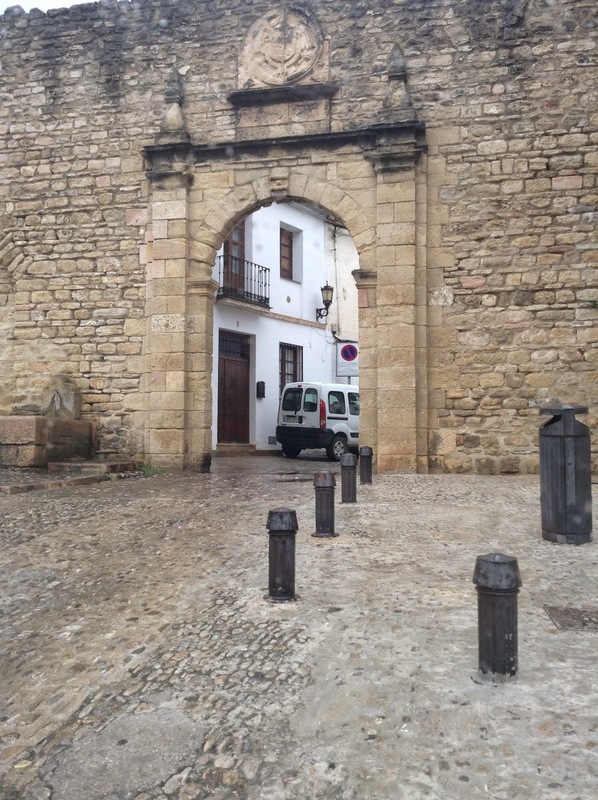 This led to Philip II ordering the expulsion of all moriscos from Ronda. Considering it is such a small city, set in the mountains of Andalucia, Ronda continued to be the site of much suffering throughout the Napoleonic invasion and the Peninsular war which saw its inhabitants reduced from over 15,000 to just 5,000 in three years. But perhaps the most horrifying is its use in recent history during the Spanish Civil War, which saw events in Ronda where people were thrown from the Puente Nuevo down into the valley below (which I can assure you is a rather long drop), as well as the cliffs of El Tajo, These events are actually eluded to in Ernest Hemingway’s novel For Whom the Bell Tolls, which describes the execution of Nationalist sympathizers early in the Spanish Civil War. The Republicans murder the Nationalists by throwing them from cliffs in an Andalusian village, and Hemingway allegedly based the account on killings that took place in Ronda. As we drove through the city, over the bridges and into the beautiful square which is home to the Parador, I was quite amused to see an Intersport shop which created a fantastic juxtaposition of the old and the new with its all glass exterior next to buildings which are hundreds of years old. 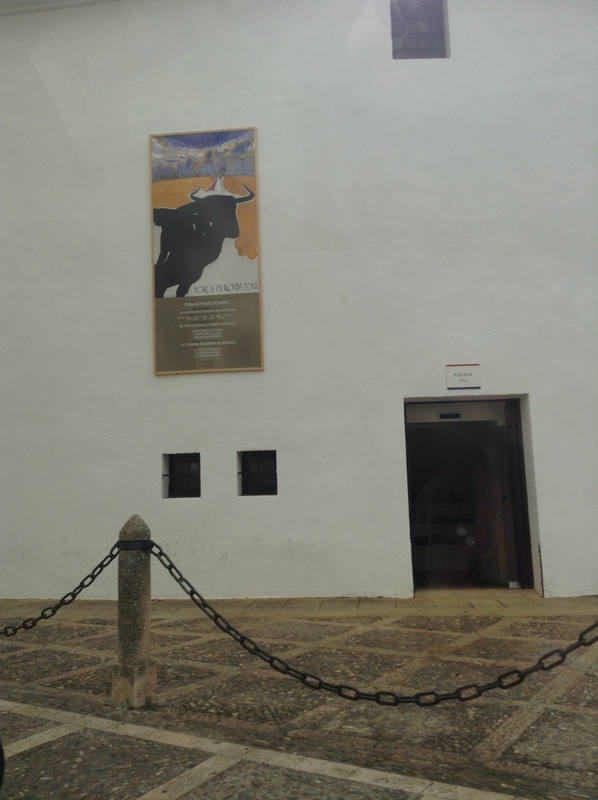 We also came across the Plaza de Toros de Ronda, which is actually the oldest bullfighting ring in Spain, and is home to the ‘Corrida Goyesca’ which is a bullfight which takes part once a year in the city. Giorgio Armani even designed a costume for bullfighter Cayetano Rivera Ordoñez in 2009. For what is a slowly dying sport in Spain, it is still common to see advertised in the south of the country and with the heritage it has, Andalucia will definitely be keeping this ‘sport’ for years to come. We stopped at the beautiful hotel Reina Victoria (favoured by German poet Rilke) for lunch with the most incredible views over the valleys and feasted on croquetas, ox tail stew and violet ice cream – perfect for a cold and rainy day! 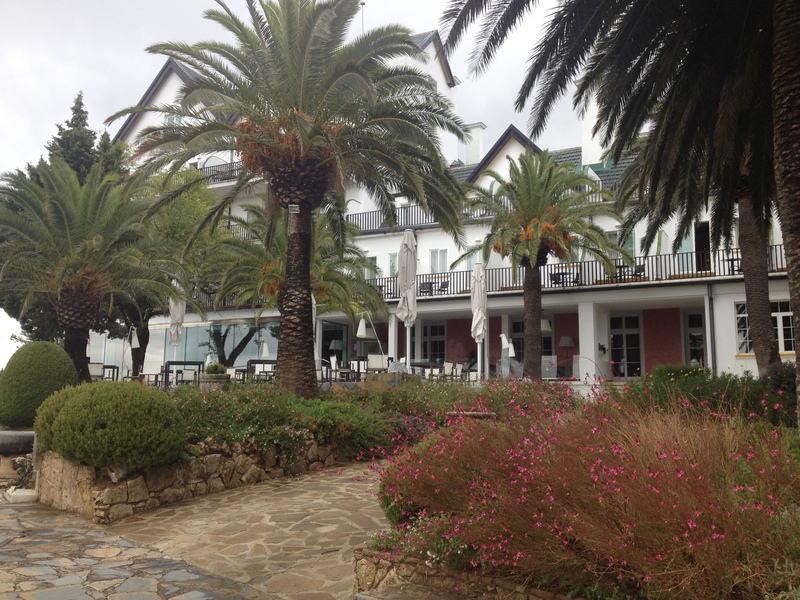 The hotel was built in 1906 and has wonderful gardens which we took a walk through in the afternoon. As we descended back down the mountain towards the coast, we ended up stopping at an Irish Pub (quite common to find with such an ex-pat community) and got to watch the Ryder Cup and the football. 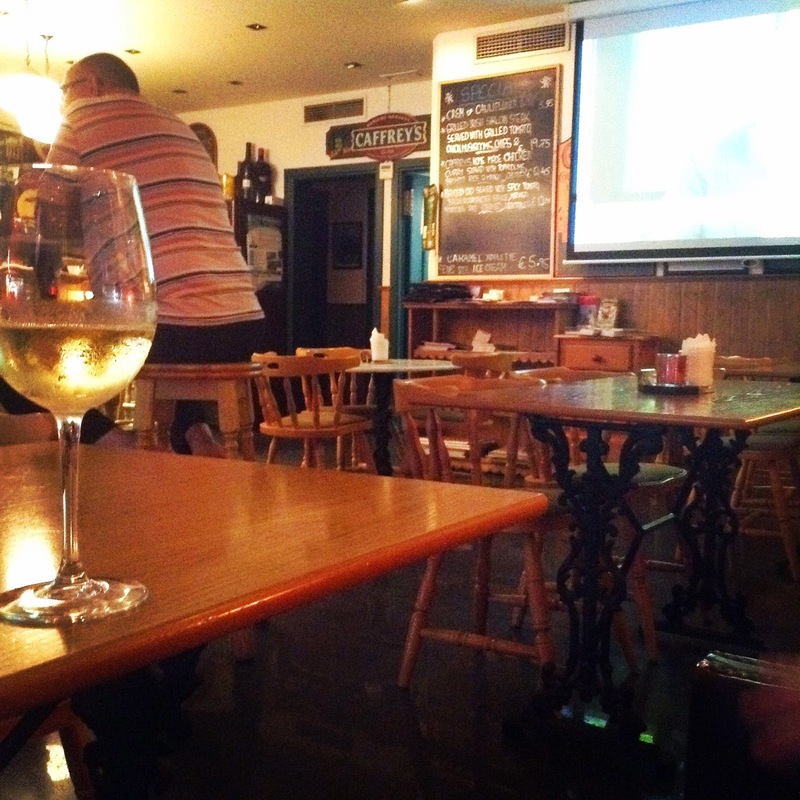 As much as I do love my Spanish lifestyle, it was quite nice to be in the pub again watching the footie with a glass of vino! October is now here and brings with it the promise of cooler days, national holidays (did somebody say long weekends?!) and half term – bring it on!